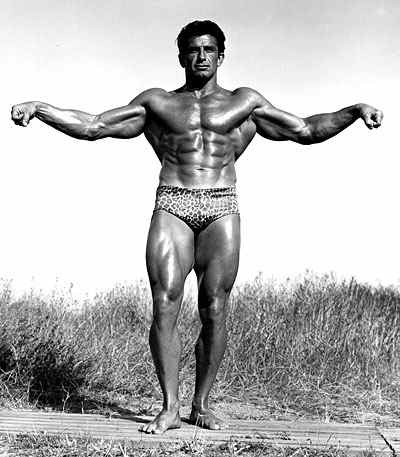 Raise Testosterone Naturally! No doctors! No Drugs! You can do it the easy way, or you can do it the hard way! Go see your doctor, and he'll test your blood, and put you on testosterone therapy in the form of a patch, gel, cream, or injection. After your blood work comes back, you'll have the T in your medicine cabinet in no time. The problem is, the doc may not tell you much about the side effects. He probably won't discuss the fact that once you start, you're pretty much locked into this therapy for life. You also may not hear about testicular atrophy until you wake up a few months later and notice that your boys have shriveled up like raisins. When you discuss this with your doctor, out comes the prescription pad again. Yup, now you're on a med to control estrogen, and yes, you'll be taking this drug for the rest of your natural life as well. It sounded easy at first, didn't it. Now let's talk about the hard way. I'll admit, in the beginning, this plan is more difficult. It takes work and commitment to get the ball rolling. You have to workout, clean up your diet, and juggle several testosterone boosting supplements to make it work. You'll get momentum on your side. 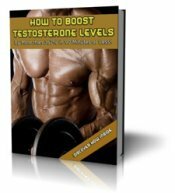 The natural testosterone boosters will start working in overdrive, because you have your estrogen/testosterone levels in balance. You'll stop hiding from the sun, which will increase your blood levels of vitamin D.
You'll be lean, tan, muscular and fit, which will boost your confidence. More confidence means more T.
Pretty soon, you'll realize you don't need to take the T boosters as often as you did in the beginning. You're body is in balance! It knows what it needs to do, and it's doing it. Instead of doctors, prescriptions, drugs, and side effects, you've got confidence, a body you can be proud of, and all the testosterone you'll ever need. Now, compare the two plans above, and tell me which one you think sounds easier?